Millers Forge Snap-On Comb - Size 1 1/2 Cuts 1/12"
Snaps On To All Clippers. Convenient And Easy To Use. Strong And Lightweight. Can Be Sterilized. 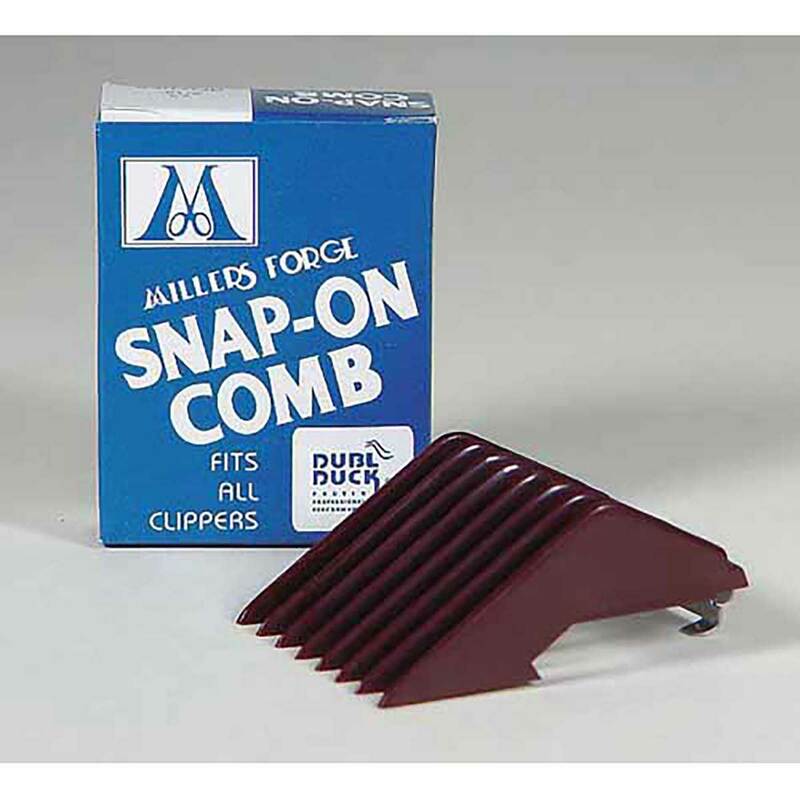 Millers Forge Snap-On Comb - Size 1 Cuts 5/8"
Millers Forge Snap-On Comb - Size 2 Cuts 3/8"